SportsLine's advanced computer model simulated Sixers vs. Magic 10,000 times. NBA Eastern Conference playoff positioning is on the line Monday at 7 p.m. ET when the Philadelphia 76ers visit the Orlando Magic at 7 p.m. ET. Orlando sits just one game out of the No. 8 seed in the East, making this game absolutely pivotal for its postseason hopes. The 76ers, meanwhile, are securely in the 2019 NBA playoff bracket and hold the No. 3 seed for now. But they're still within striking distance of the 2-seed or could realistically fall to No. 4 if they hit a cold snap down the stretch. Philadelphia is a 1.5-point favorite in the last Sixers vs. Magic odds, down one from where the line opened, with the over-under for total points set at 219.5. 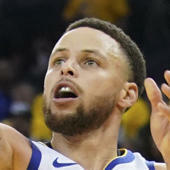 Before locking in any Sixers vs. Magic picks of your own, read the NBA predictions from SportsLine's proven computer model. This model, which simulates every game 10,000 times, is crushing its NBA picks. It entered Week 24 of the 2018-19 NBA season with a sterling 268-206 record on all top-rated picks, returning over $4,700 in profit to anybody following them. And it has been particularly red-hot on its A-rated NBA picks against the spread, entering Week 24 on a strong 65-48 run. Anybody who has followed it is way up. Now it has locked in on Magic vs. Sixers. We can tell you it's leaning under, and it also says one side of the spread hits in well over 50 percent of simulations. You can only see that pick at SportsLine. The model is aware of the strong run Philadelphia has been on recently. The 76ers won six in a row before late-game heroics by Trae Young snapped that strong run in a 129-127 loss to the Hawks on Saturday. Philly's elite offense was on full display during that recent six-game streak, which includes victories over playoff squads like the Celtics, Bucks and Pacers. The Sixers scored at least 118 points in four of their six wins, helping boost their fourth-ranked scoring offense to 115.3 points per game on the season. Philly also has a point differential of plus-3.3 this season, compared to minus-0.1 for Orlando. But just because Philadelphia is the better team on paper doesn't mean it's a lock to cover the Sixers vs. Magic spread on the road. The model is also well aware of the importance of home-court advantage in this game. Orlando has been strong at home, posting a 22-16 record, as opposed to just 13-22 on the road. Philly is 18-17 on the road this year, but has struggled against the spread when traveling. In fact, the 76ers have covered the spread in only 42.9 percent of their road games, while Orlando boasts a 52.8 percent cover rate at home. Also, for all the talk of how well Joel Embiid has played against Orlando, Nikola Vucevic has been excellent against his former team this season, averaging 23 points, 11 rebounds, and six assists against the Sixers. So who wins Magic vs. Sixers? And which side of the spread hits in well over 50 percent of simulations? Visit SportsLine now to find out which side of the Magic vs. 76ers spread you need to jump on, all from the model that has crushed its NBA picks, and find out.